The China International Machine Tool Show (CIMT) is a 6 day event being held from the 17th April to the 22nd April at the China International Exhibition Center in Beijing. It is recognized as one of the four largest international machine tool shows in the world. 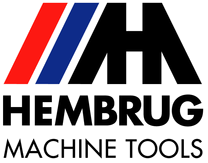 Hembrug will exhibit the Mikroturn 100 and will be represented by it’s distributor DKSH.